The more complex your layout and contents, the more you will need a design professional's help—and maybe a high-end desktop publishing package, too. But before you do that, give Word's built-in design talents a try. 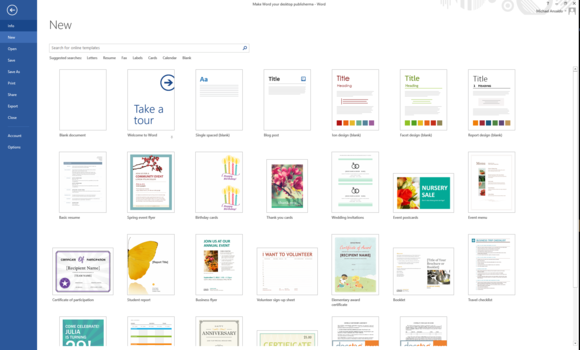 Word has hundreds of templates to jumpstart your layout. Templates come pre-populated with images and dummy text, both of which are easily replaceable with your own (you can either click on a block of text and start typing, or paste in text or images you’ve previously copied to the clipboard). But even if you want to change design elements (such as fonts, for example), you might start with a template just to pick up preset margins and other basic layout parameters that would be annoying to create from scratch. If you prefer to start from scratch on a blank sheet, you can set up page dimensions, margins, columns, and other basic defaults in the Page Layout ribbon. You might also want to click the Design tab and choose a theme—a collection of fonts for popular layout options such as titles, subheads, and plain text. You could, of course, specify these individually as you work, but the fonts in a theme are chosen and sized according to generally accepted design precepts so they'll look good together. The Design tab offers collections of color palettes. Another option in the Design tab lets you apply a background color, pattern, or even an image to your document. Click on Page Color to see these options—they’re a pleasant alternative to the usual plain white. Nothing is more boring than a page full of plain text, but sometimes you don’t have a lot of images to relieve the monotony. Tools to make your layouts more interesting include drop caps, subheads, and pullquotes—and it’s relatively easy to apply them in Word. Adding drop caps—large initial capital letters—to a paragraph is child’s play: In the Insert ribbon, simply click on the Add a Drop Cap icon in the Text tools. You can choose between having the enlarged initial capital letter embedded in the text or in the left margin. Drop Cap options let you change the font, the height (in number of lines of normal text) of the character, and its distance from the text. Drop caps can liven up a page of plain text. A pullquote is a quotation from the text that you copy into a box and use as a design element, much the way you’d use an image. It’s a way of highlighting an important nugget from the story, while at the same time adding visual interest to a page. In Word, put the cursor in the general area you’d like to place a text box, and click the Text Box icon in the Insert ribbon. This brings up a menu of several pre-formatted text box options. When you choose one, it will appear—with canned text—in your document. You can then replace the dummy text and adjust options such as font size and color. 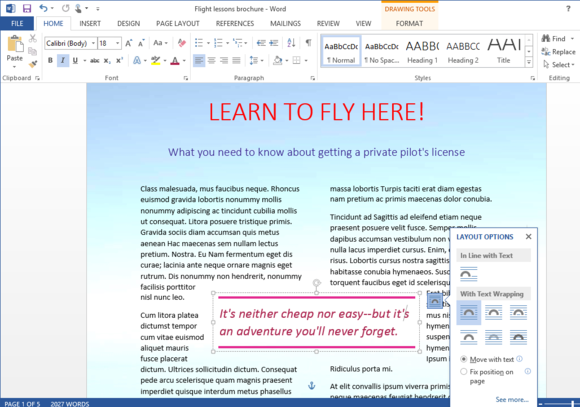 Use a text box to create a pull quote in your document. Use colorful Word Art sparingly. The Word Art icon on the Insert ribbon lets you use colorful display fonts with flourishes and effects you won’t find in standard fonts. You can use these characters to liven up a page, but avoid going overboard: A little of this sort of eye candy goes a long way. Images are an obvious choice. 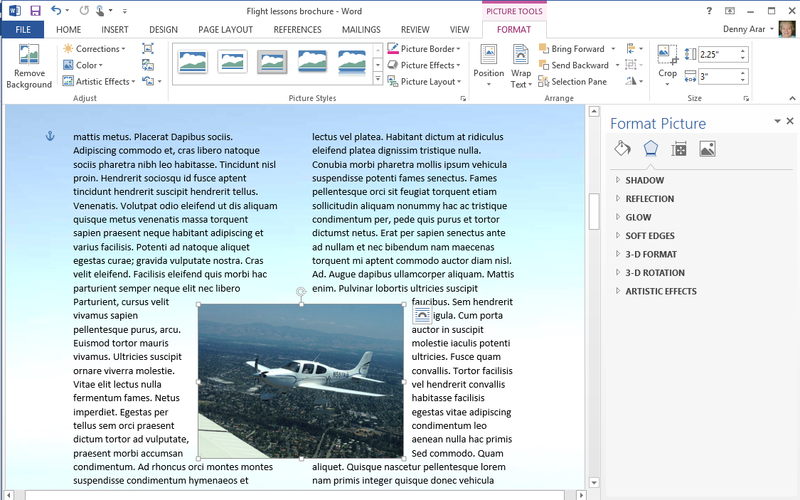 Current versions of Word include tools that let you perform basic image editing from within the app. As with the text box, you start by placing the cursor in the area where you want the image to appear. Then click on Pictures (or Online Pictures if you want to look for images in Office’s huge collection of clip art), and click on the image you want to insert. You can drag an image anywhere you want to use it in your document. A couple of things will happen: The image will appear in your document—if not exactly where you intended, close enough so that you can easily drag it to where you want it. You can also make fine adjustments with arrow keys when the image is in moving mode. SmartArt lets you insert complex diagrams. 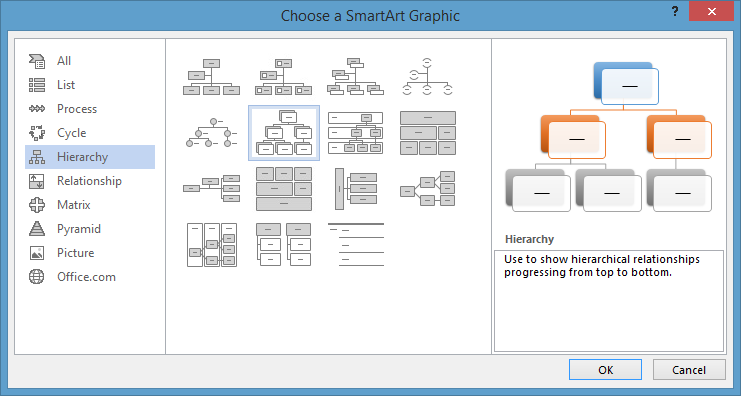 The newest graphic element in the Insert ribbon is the Screenshot icon: Click it and you’ll be able to insert any currently live screenshot on your Windows desktop—a useful tool for people who want to illustrate computer processes. Use a text box to create unnumbered captions. You can add captions to graphic elements using the Insert Caption feature in the References ribbon, but there’s a catch: Because the feature was intended for academic publications, it automatically assigns numbers to them (in sequence)—and it’s all but impossible to get rid of them in print unless you want to go into Word’s field codes. If you want your images to have captions that aren’t numbered, you have to either create a text box below (or beside) the image just for the caption or put them both in a box to tie them together, another complicated procedure. Many of Word’s tools can be applied on the fly, so if you don’t like the way something looks you can easily change it. For example, you can flow text into columns simply by selecting it all and clicking on the number of columns you want in the Page Layout tab. 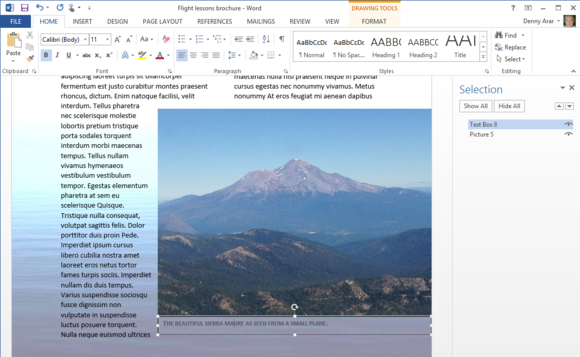 You can realign objects in Word with layout options. If you’ve added several elements to a document and they aren’t behaving the way you want, you might find help in the Arrange section of the Page Layout tab. Here you can find features for aligning objects and bringing them in front of or behind other objects. Most commercial printers who work with small businesses will accept documents in PDF format, and Word lets you save documents as PDFs. There are, however, different types of PDFs, so make sure to check with a printer beforehand—ask if they can work with the PDF format generated by the Word version you are using. Word can’t do everything a high-end desktop publishing program can do. For example, if you need crop marks on pages, Microsoft advises you to export your Word document to Publisher, the Office desktop publishing app. 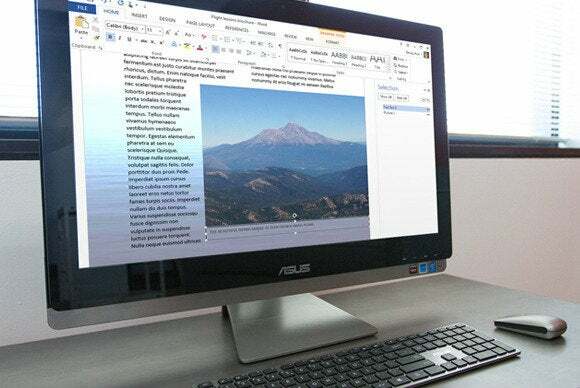 Desktop publishing packages can usually export to all major PDF types. 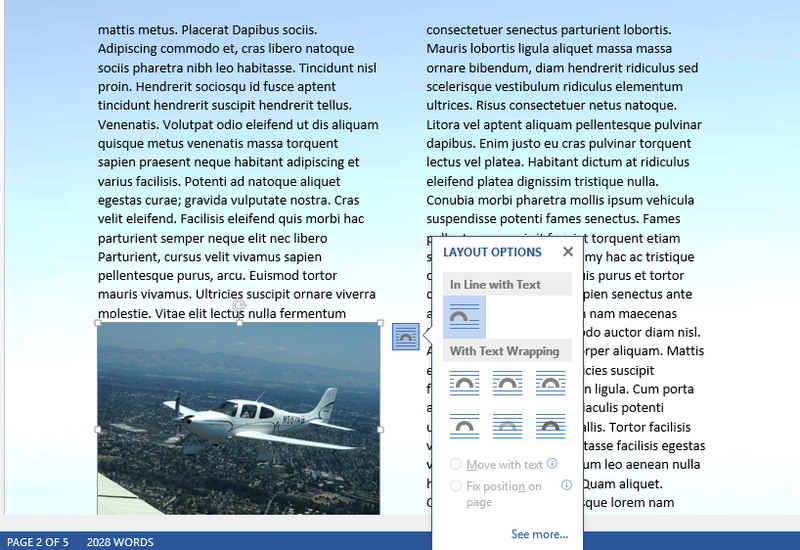 High-end packages also let you create multiple master pages to serve as templates for complicated documents. While Word makes it easy to create pages with headers and footers, it’s not so easy to mix them up with other page styles in the same project. But for people who are simply looking to enhance the appearance of everyday documents—flyers, brochures, booklets and the like—Word has much to offer. The learning curve isn’t too steep, and if it’s already on your desktop, the price is right.